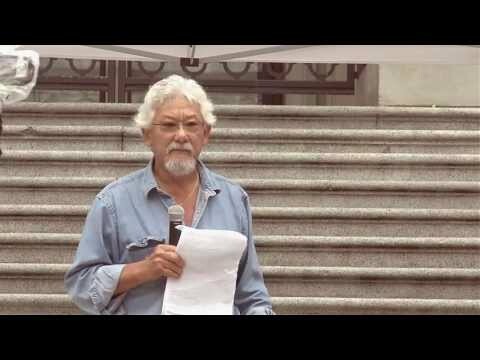 Dr. David Suzuki speaks at a “Stand Up For Science” rally in Vancouver BC. Things sure get hot in this presentation folks! Dr. Suzuki tells it like it is accusing our government of “willful blindness”.He speaks of the importance of science in this rapidly changing world to ensure decisions are made wisely in affairs effecting our environment & the well-being of future generations of humanity. We are currently undermining the very things which keep us alive and healthy. Decisions must be made on facts, not on the wishes of private interest groups as we are now altering the chemistry, the physics and the biology of the biosphere on a geological scale .